Use to mold rice treats or fill with chocolate to hand Mom a message. 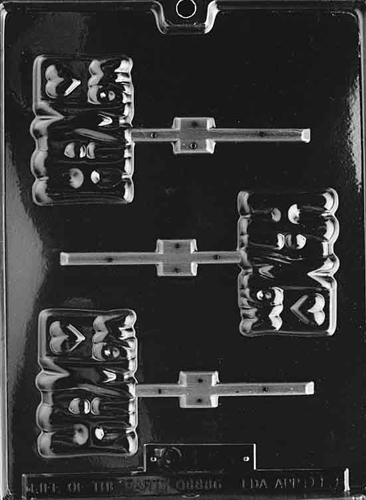 The Hi Mom Lolly Mold is a fun way to show mom how much you love her. Each piece is 2" x 3" x 1/4"